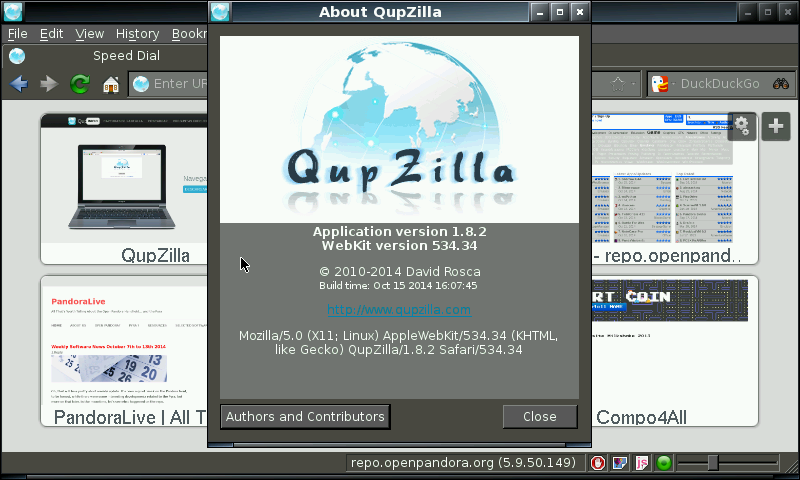 - Compiled with QT5. Rendering seems better. - Included hunspell dictionaries: English (US/GB), Spanish, French, German and Italian. - Latest stable bugfix release and new icon. - Updated openssl to 1.0.2e version. 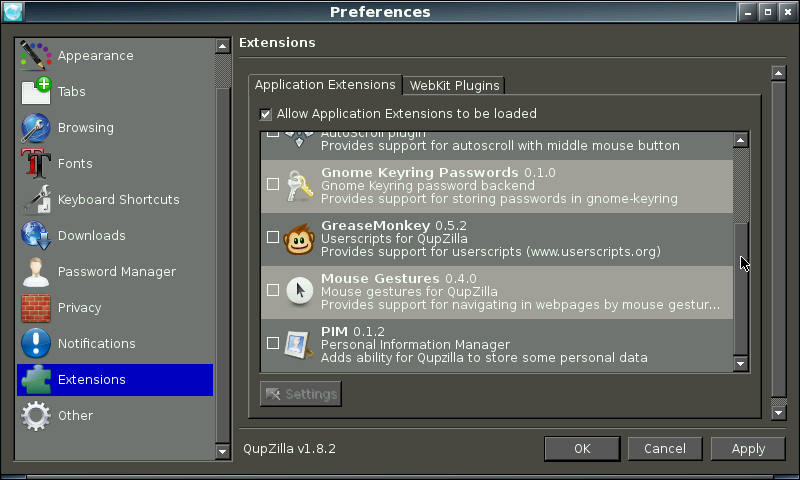 - Updated QT to 5.5.1 version, fixes a lot of bugs, like dropdown menus not working. - Updated openssl to 1.0.2f version. - Updated openssl to 1.0.2g version. - Updated openssl to 1.0.2h version. - Updated libs and QT to 5.7.0 version, from latest Codeblocks Beta PND. - Updated openssl to 1.0.2i version. - Updated openssl to 1.0.2j version. - Updated openssl to 1.0.2k version. 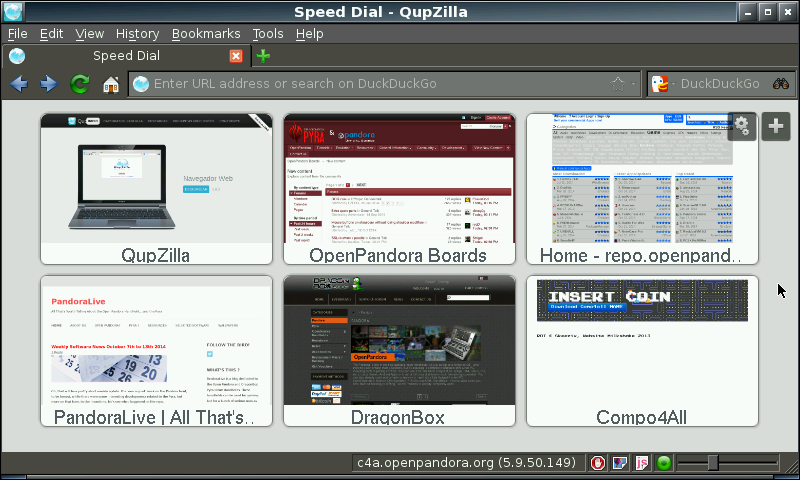 - Compiled with QT 5.8.0 from latest Codeblocks beta PND. 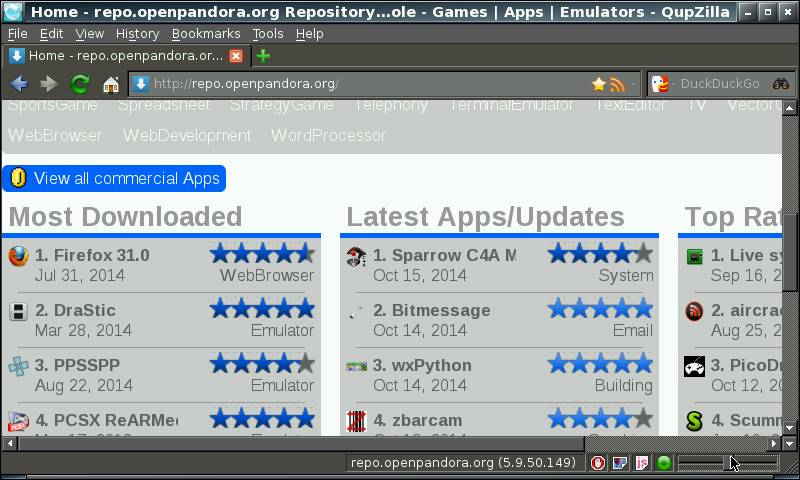 - Compiled with QT 5.9.0 from latest Codeblocks beta PND. Not a big deal though, I have just been using shift+arrows to expand my text selections instead of click+drag. F11 fullscreen seems to now work just fine. I appreciate that! I'm not experiencing any crashes, but I have noticed that RAM usage is high enough that swap space is usually a good idea. Also text selection is a little funky at the moment. It seems like click/drag is not being recognized. still a great browser but it is increasingly unstable. I keep getting crashes recently. Not doing anything unusual. Taking the new release for a spin. I'm probably imagining things but it seems to be faster and more lightweight. It renders the boards perfectly and super quick. As always: thanks!